A care home nurse who failed to call 999 or a doctor when a resident had a suspected stroke has been struck off. 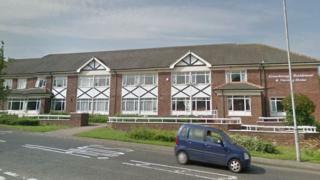 Jacqueline Osborne was on a night shift at Greasbrough Residential and Nursing Home in Rotherham, South Yorkshire when the woman had a fall in June 2013. The resident showed signs of having had a stroke, or mini-stroke, but instead of calling for help Ms Osborne decided to wait overnight. The Nursing and Midwifery Council has struck her off the nursing register. The woman was taken to hospital when another nurse examined her the next morning. Ms Osborne was suspended from work after the incident for failing to follow the correct procedure and later resigned. The council's conduct and competence committee said her fitness to practise was "impaired". She had not put the resident at risk due to malice or laziness but her actions were out of line with clear policies that should be followed, it said. Ms Osborne was suspended from the nursing register in 2015 and has now been struck off after a further review of the case. "The panel noted that Ms Osborne had not demonstrated any insight into her previous failings," it said.